Bonanza Golf & Country ClubEnjoy on of Khao Yai’s finest place on a 3,000 rai plot of land, Adjacent to the Asean heritage Khao Yai national park. 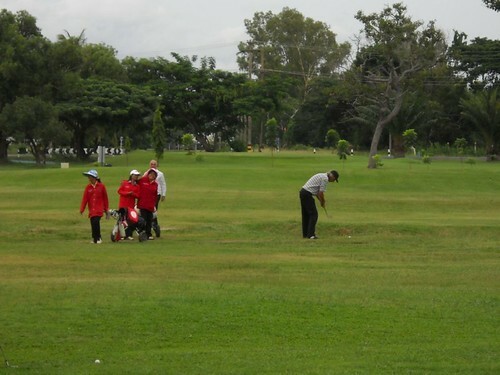 Bonanza Golf & Country Club an international standard golf course in amidst of valley in Khao Yai. It is part of the Bonanza Khao Yai Hotel. Bonanza Golf & Country Club (18 Holes 7,480 Yards, Par 72) A 18 Holes mountainous golf course designed by a famous American Golf Course Architecture, Bob McFarland. The Bonanza Club House is quit unique, built in log country home style where found only in Thailand. Service inside the pleasant clubhouse are good, including Diving range, Golf cars, Caddies services and the pro shop provides everything that golfers need, from professional golfing equipments to a comfortable waiting space while waiting for tee off. The shop is also a miniature cafe serving beverages and light snakes. If this suits you, there is also a place for paying your green fees. Designer: Nelson & Haworth Golf Architects Pte Ltd. Friendship Meadows Country ClubThree nine-hole layout are featured here. Set in beautiful rolling countryside, this undulating terrain needed little landscaping to make it a superb test of golf. Distances are short, but the narrow fairways and judicious placement of water and sand demands placement of water and sand demands accuracy. Varied fairway lies need care, especially on approaches to the well-bunkered greens. It is possible to make the trip from Bangkok in the morning, play a round in the afternoon and return to the capital in the evening. Service inside the pleasant clubhouse is friendly. Those who play golf at this course will not be disappointed. Kirimaya Golf ClubThe exclusive 18-hole championship golf course – designed by Jack Nicklaus – is set within natural surroundings with panoramic views of Khao Yai’s lush greenery and mountains. The course ranges from 4,875 yards (ladies) to an incredible 7,115 yards (tournament) and with its single-track layout, golfers feel as if they are the only ones on the entire course for a truly memorable golf experience. An easy drive from hectic Bangkok, the Kirimaya offers an instant escape from crowded city life. Here, on the edge of Khao Yai National Park, a UNESCO World Heritage Site, the chic elegance of contemporary living blends seamlessly with natural beauty. The clubhouse overlooks a lake and facilities are geared to suit all the family, including Club House (with locker rooms and Proshop), Indoor & Outdoor Spa Pavilions, Fitness Room, Restaurant Outlets and Executive Boardroom/Classroom Conference. Accommodations are also available. 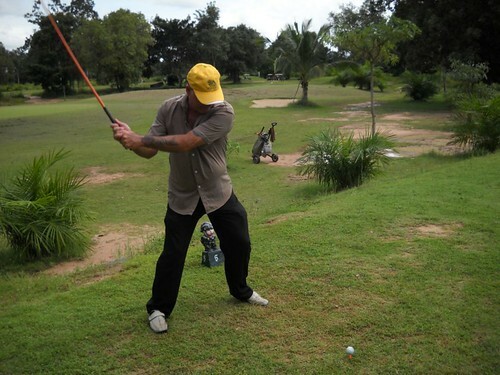 Korat Country Club Golf & ResortThis 18 hole golf course grew from strength to strength over the years and has matured into a dependable golf course with clients nationwide. This beautiful golf course set in the Khao Yai mountains has five different tee boxes to choose from. The course rewards smart course management and punishes errant shot making. Expansive contouring, pristine lakes and a wide variety of bunker styles and shapes gives each hole a new and exciting challenge. The greens tend to be slick and three putting is common. The added bonus of playing golf here is that there is usually a breeze. Clubhouse facilities are good, including two swimming pools, but there is no hotel on site. Established in 1993, the Khao Yai Golf ClubKhao Yai Golf Club (formerly Mission Hills Golf Club Khao Yai) is a two-hour drive from Bangkok. The misty mountains near Khao Yai National Park provide a spectacular backdrop to the undulating fairways. 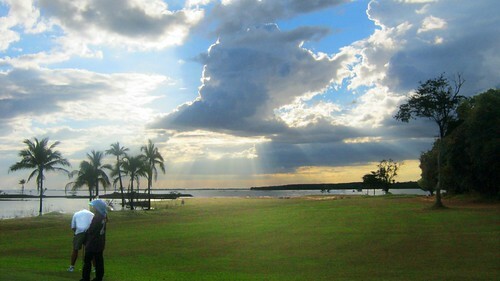 The 18-hole golf course, scenic hotel and club house. The 450 rai of golf course is designed by Jack Nicklaus. There are five sets of tees and the course is a tough test at 7,058 yards from the back tees. The course is beautifully maintained. There are some difficult dog-leg holes, especially the par five second and twelfth. There is a palatial clubhouse with wonderful views. The resort hotel is of five-star standard. The average temperature is always 7 degrees Celsius lower than elsewhere in the area. Mountain CreekMountain Creek Golf Resort and Residence is hosting a 27 hole course designed. The entire development was designed by Seve Ballesteros – former world no. 1 and winner of five Majors including two Masters titles, spreadout over three sections of nine holes, each of which have been named depending on their natural environments, highlands, creeks or valleys. It demands a combination of both power and accuracy, with thestrategic positioning of hazards and dense forest forcing the player to focus on each and every shot, as one error can be very costly. It opened in 2011. This course will test every club and trick in your bag. 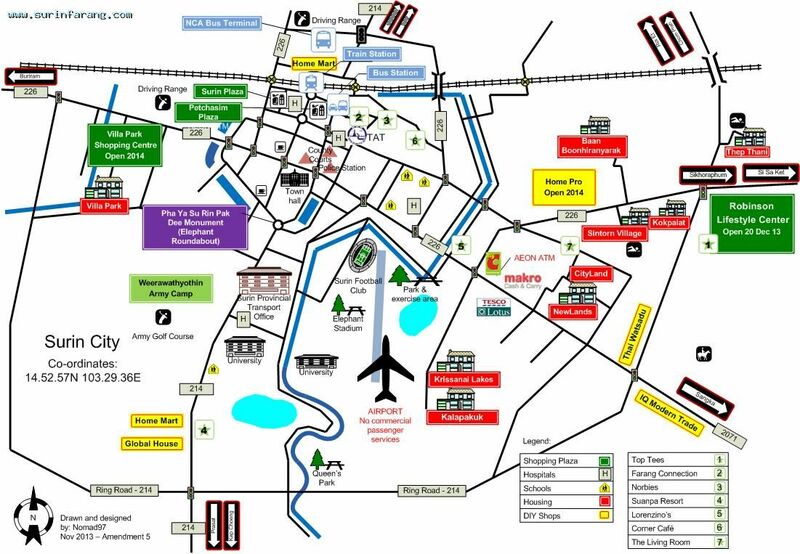 A recreational and spa facilities, outdoor concert zone, shopping center and other appealing amenities. An expansive club house acts as the central hub, from which each of the courses begins and finishes. Surrounding Mountain Creek is even more to choose from with internationally recognized wineries, World Heritage national parks, historical Khmer sites and cultural Thai silk creations to explore. Rancho Charnvee Resort &Country ClubLearning by experience a touch of class. Golf Rancho Charnvee Resort & Country Club, Beautiful natural surroundings, And purity of air. Dong Phaya Yen mountains, Khao Yai National Park, Pak Chong, Nakhon Ratchasima province. Gateway to the northeast border. Ranncho Charnvee is an 18-hole layout in the Khao Yai National Park area. The rather flat Bob McFarland resort course is fun to play and caters to golfers of all abilities and as with other Khao Yai golf courses, views from the course are often stunning. The clubhouse sits in front of a small lake. There is no driving range but the changing rooms and kiosks are first rate and the restaurant serves good food. This combined with well-trained staff and well-maintained course conditions will insure that golfers in Khao Yai will enjoy playing at Rancho Charnvee. Seoul Siam Resort & Country ClubThis beautiful golf course set in the Khao Yai mountains. The course rewards smart course management and punishes errant shot making. Expansive contouring, pristine lakes and a wide variety of bunker styles and shapes gives each hole a new and exciting challenge. The greens tend to be slick and three putting is common. The added bonus of playing golf here is that there is usually a breeze. Clubhouse facilities are good, including Swimming pools, sauna, Korean restaurant, fitness center and putting green. Toscana ValleyA brilliant setting for a coveted lifestyle, Toscana Valley offers diverse rage of recreational activities. The 18-holes Toscana Valley Golf Course at Khao Yai ascribes its handsome design to renowned golf course architect Bob McFarland. Designer: Golftect Corporation Ltd. & Emk Consultants of Florida Inc.
Panorama Resort and Golf ClubThis 18-hole golf course lies in pleasant rolling countryside along route 2 from Nakhon Ratchasima to Pak Chong, about three miles from the capital. The course here follows the natural contours of the terrain, taking advantage of a mountain rimmed valley. Set in pleasant rolling countryside the course is often pleasantly breezy. Designer Ronald Fream has provided some challenging tee shots, particularly the 10th, blind over a valley and across the face of a hill. The clubhouse overlooks a lake and facilities are geared to suit all the family. Accommodations are also available. 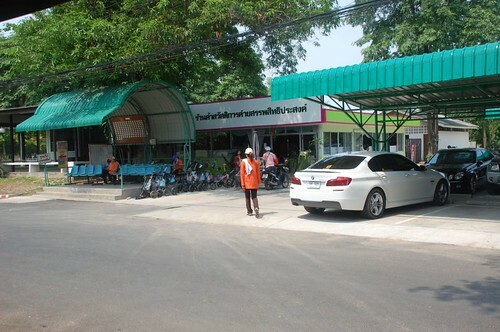 Located in the west of the city, this 9 hole (with a special “short distance” extra hole) is convenient located if you don’t want to travel too much and live in Nakhon Ratchasima.